With the weather being what it is in SoCal, flowers are blooming all year round. 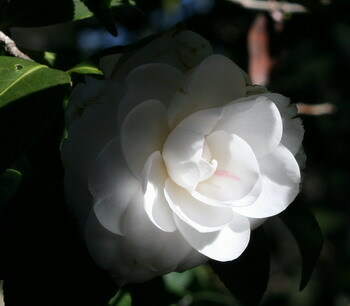 Some, however, can only be seen in winter. 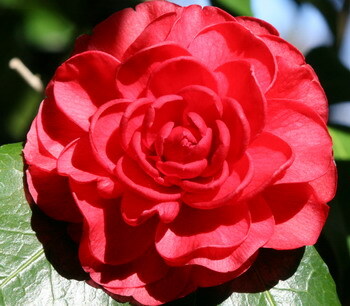 One of the most spectacular displays of camellias one finds in Descanso Gardens, famous for its display of 34,000 plants on 20 acres. 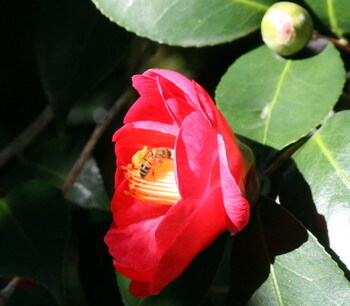 A walk through the Camellia Forest is probably as near to walking through an enchanted garden as one can get. 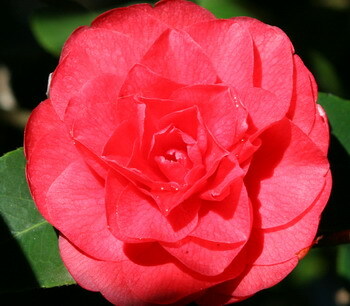 Camellias are one of my favorite flowers. They bloom when nothing else seems to be offering any color. The look a bit like roses, don’t they? Yes, the similarity to roses is quite pronounced – and yet, they are so different. 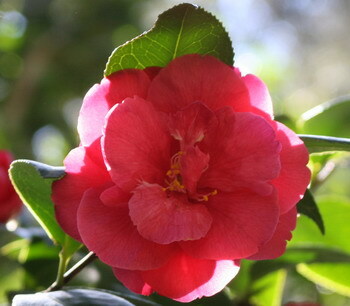 Camellias to me seem to be far more fragile than roses, more like a hint of beauty so easily gone. But of course both types of flowers are remarkably robust! 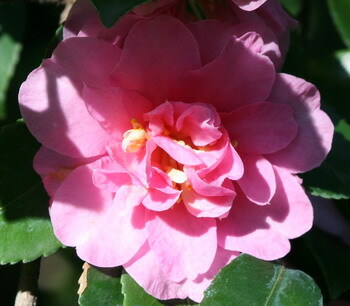 My mother in law had a huge camellia bush in front of the old home place which was falling down it was so old and uncared for. The contrast of this beautiful 8′ shrub, covered in exquisite blooms, in front of the wreck of a house was always such an interesting juxtaposition to me. In Texas, we see that a lot. Old homes going to ruin with flowers around them that come back year after year. Or in some cases, the house is completely gone, but things like daffodils annually mark where the old place was. I find it very sweetly melancholy. It’s fun to imagine what lives the old house encompassed. Every time I come to your new site, I feel refreshed by the design. It never gets old with me. 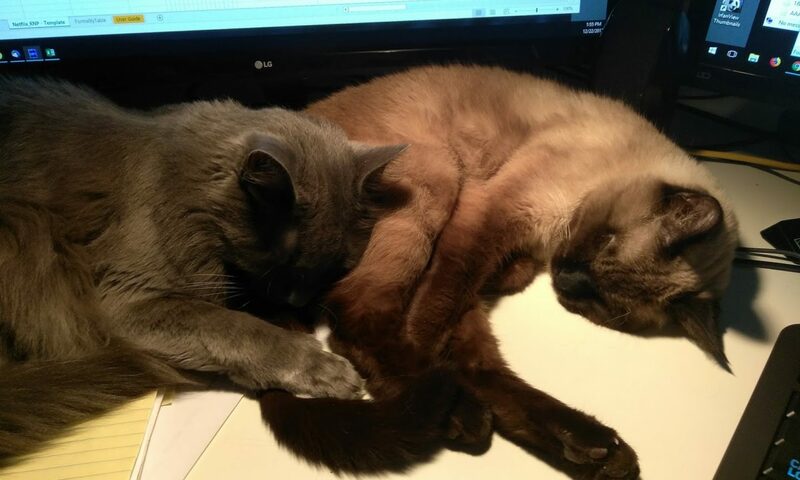 I think I must be getting Vitamin C by osmosis. Thank you, Karen – what a wonderful compliment!